The 19th Annual Vancouver Asian Film Festival is back this November! 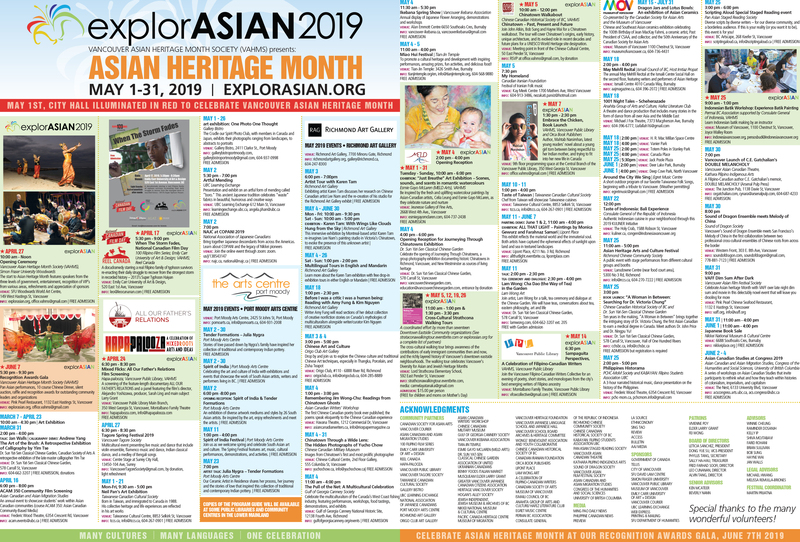 The Vancouver Asian Heritage Month Society is proud to be community partners with the Vancouver Asian Film Festival. VAFF 2015’s nine film programs include 37 feature-length and short films of all genres, with English dialogue or English subtitles, from the Asian diaspora—including a world premiere, 4 North American premieres and 13 Canadian premieres. An additional 9 films are Vancouver premieres. Twenty filmmakers, from Canada and internationally, are expected to attend. See you all there!